Unique Landscaping has 20 years experience improving the aesthetics and increasing value by building gorgeous stone masonry projects. Whether you need an indoor or outdoor stone veneer, outdoor kitchen, or an outdoor fireplace you’ve come to the right place. Tulsa is unique in the way it is recognized for its many stone masonry structures and its stone veneer selection, and at Unique Landscaping our masons specialize in both manufactured and natural stone services for Tulsa and all across the state. When you hire Unique Landscaping for your next stone masonry structure you can expect the best stone craftsmanship. We provide a 100% customer satisfaction so you can contact us for your stone or brick repair or install worry free. We provide both residential and commercial masonry services. Due to the creative freedom that natural stone and manufactured stone provide we can create any look or style that you like. We also provide thin stone and stacked stone for stone veneer in interior and exterior walls, stone outdoor fireplaces, stone outdoor kitchens, and stone structures. One of the oldest, most durable, and trusted building materials is still one of the most beautiful. You can find stone structures around the world that are thousands of years old, and now we’d like to bring the classic beauty and strength of stone to your home. Regardless of what kind of look you’re going for, we can create it with the many different colors, thickness, and textures that stone offers. Give us a call today and we’d be happy to talk through your project with you and offer a free estimate. An effective way to bring a new charm, curb appeal, and up your property’s value is by installing a new stone walkway. At unique landscaping in Tulsa, we are happy to remodel your walkway to your exact specifications. As flagstone comes in many different styles, including shapes and colors, nearly any look can be achieved. Unique Landscaping has been serving the Tulsa, Oklahoma and surrounding areas for 20 years and will work with you to create the ideal flagstone walkway for your home or business. Our Tulsa masonry contractors are friendly, professional, and will provide clear communications for you from the first call until the project is completed. We are bonded and insured so you can rest knowing you’re hiring the best risk-free. If your looking for the best when it comes to Tulsa masonry then give us a call today! We can use either manufactured stone or natural stone to build your stone masonry structure. We are happy to provide you with a list of pre-made designs, or we can create a completely custom design just for you with every detail to your preferred specifications. 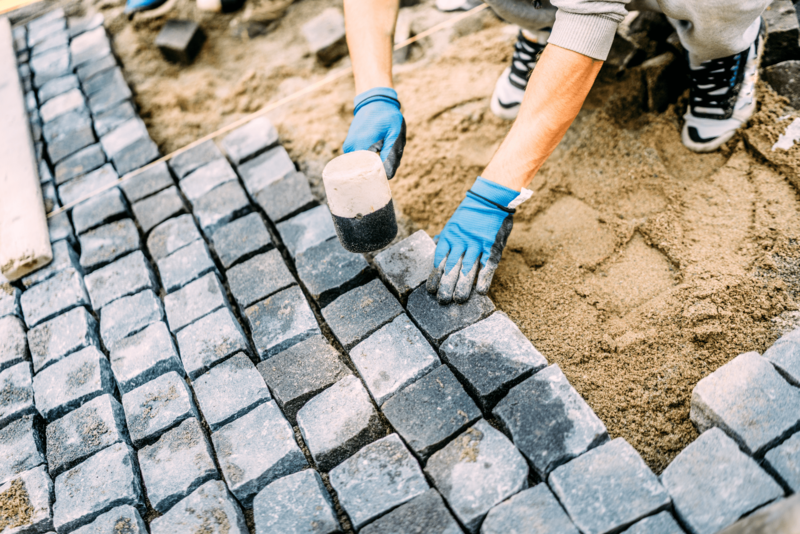 One thing is for sure; when you choose Unique Landscaping to handle your Tulsa masonry design you can know that you will be provided with the highest quality and excellence in service. Call today for a free estimate.